Cute chibi style vector illustration of a popular manga and anime character. 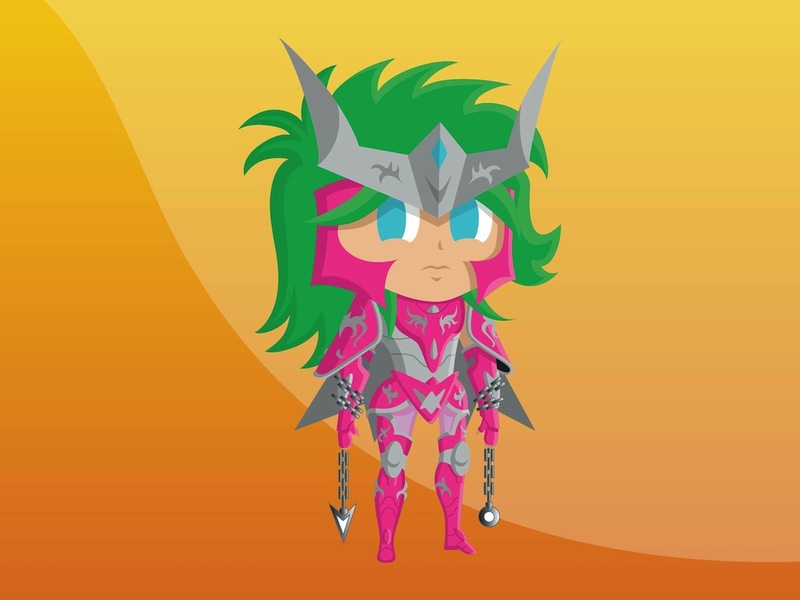 Shun Andromeda from the Saint Seiya: Knights of the Zodiac media franchise. Bright colors of the hair and costume worn by the character. Free vector illustration for all your anime, manga and cartoons design projects. Tags: Anime, Armor, Cartoon, Character, Chibi, Knights Of The Zodiac, Saint Seiya.